I love wine, so I have a lot of corks saved up. Last year, I used my stock to create a cute key holder to hang up near the door. Surprisingly, one DIY wine cork project can take up a lot of corks! Get a piece of wood cut to fit inside your frame. I went to Dixieline to have this done. Paint your frame – I chose black. Paint the piece of wood white or whatever color you choose. 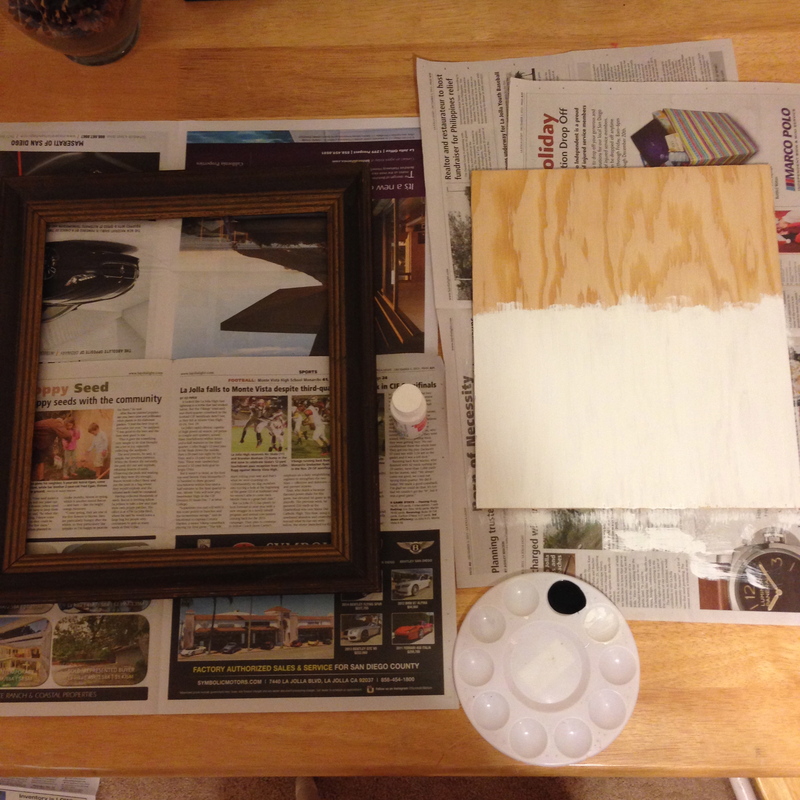 After the paint dries, place it in the frame. Hot glue wine corks to the top of the piece of wood. You can do as many or as few rows of corks as you want, but you may need to cut some of the corks so they will fit in perfectly. Paint your word or phrase and let dry. 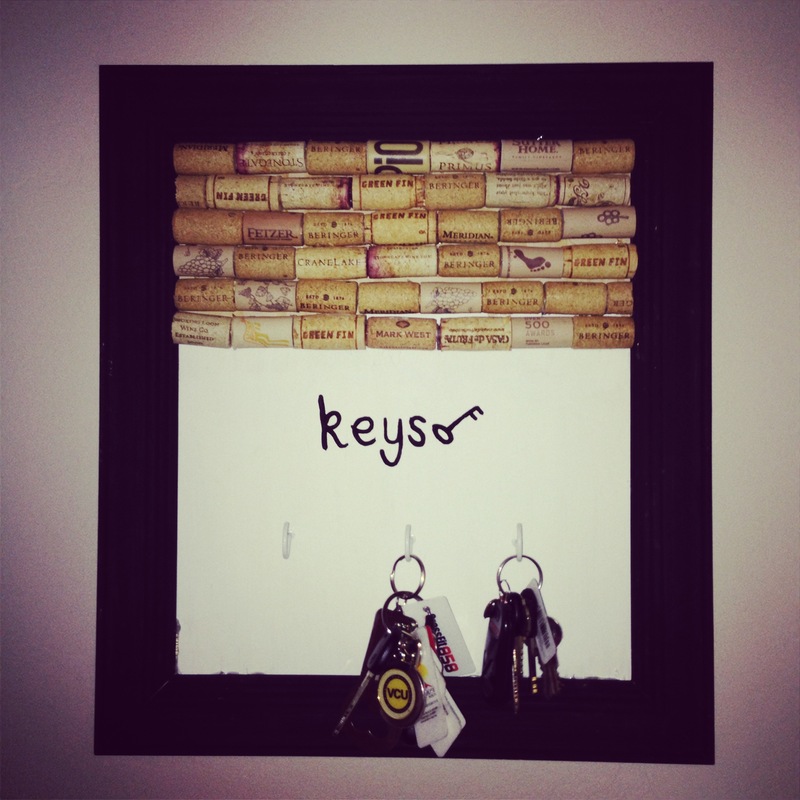 Drill 3 tiny holes below the words and make sure to space them out so you can hang keys or sunglasses easily. Finally, screw the storage hooks into the tiny holes.